Here are the live news updates for January 9, 2018. New Delhi: Prime Minister Narendra Modi on Tuesday inaugurated the first Persons of Indian Origin (PIO) Parliamentary Conference in the 'Pravasi Bharatiya Kendra' at Chanakyapuri here. he hailed the contribution of NRIs and PIOs in transforming India's image at the global level. As many as 124 Members of Parliament and 17 mayors from 23 countries are participating in this conference. PM Modi concludes speech, expresses hope that NRIs, PIOs will continue to make India proud with their achievements. PM Modi also hails EAM Sushma Swaraj for actively helping NRI and PIOs. Keeping in mind the needs of the 21st century, the government is increasing the investment in technology, transportation: PM Modi. If I talk about politics, I can see that there is a mini world Parliament of Indian origin sitting in front of me: PM Modi at PIO Parliamentary Conference. No matter where they are, I can imagine how happy your ancestors must be on seeing you all here: PM Modi at PIO conference. 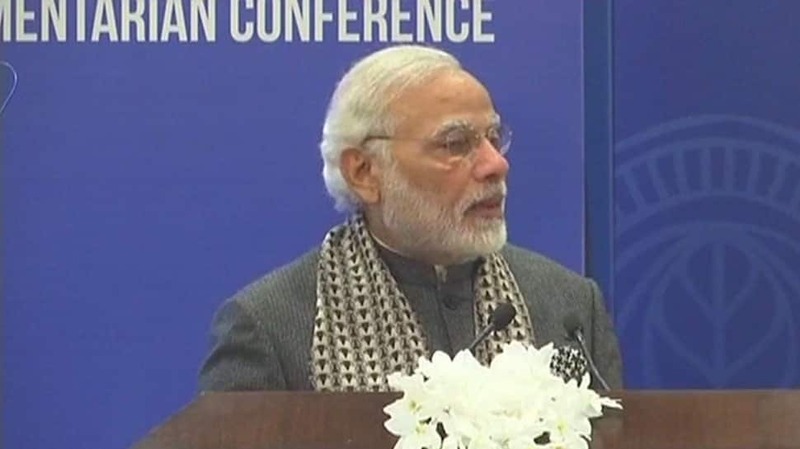 PM Narendra Modi addresses the first PIO (Persons of Indian Origin) Parliamentary Conference in Delhi.